In Kindergarten we strive to show loving kindness to one another throughout our day.There are 20 students in our morning’s only kindergarten class. We have an aide to help us with small group work and many parent volunteers. We gather each morning to sing songs, recite poems, count the days on the calendar and talk about our day. Next we move into small group instruction of the curriculum. Alphabet study, math skills, writing and reading are practiced at this time followed by outdoor play, snack and story time. Students receive art instruction twice a week. Movement and music classes are once a week. We end the day with a choice of blocks, drawing, painting, and creative play. Everyone shares in caring for the classroom. First graders share classic children’s literature that supports our units of study. We learn SEE Sign language and sing together. Parent volunteers are important part of the student's daily experience, and there are opportunities to help both during the school day and outside of school. We encourage all families to volunteer and share their gifts with the class. There are 20 students in our class. We have one aide who helps throughout our day. We hold literacy reading class in small groups and math in both small and whole group depending upon the activity. We do many science lessons and often enjoy them with our second-grade partner class. We are a class of authors writing daily. I want the students to feel safe, respected and encouraged to be lifelong learners. We will create rules, have morning meetings, hold councils and slowly move into the core of the curriculum. By exploring the curriculum in a hands-on manner, academic knowledge becomes more meaningful and more memorable. Our class goes on several field trips each year. Art and movement are incorporated into each and every subject to promote creative, happy and freethinking individuals while also keeping learning meaningful and fun! This is a year of enormous growth. This is the year the students enter a larger world and take our first overnight field trip the end of the year. Welcome to fourth grade! We are going to have a great year, full of learning and fun. Every other year, we team up with the Dragonfly Class for a Spring Garden Show. This event is a celebration of song and music and dance. Students love to perform. At the same time, we study how our gardens grow with planting seeds. We are a class of 26 students who enjoy exploring our world. This year we are exploring the 5th-grade social studies curriculum of the United States. We learn about the geography and the historical events that shaped our nations through hands-on and interactive studies. As an art school, we incorporate the arts in social studies, language arts and science. Thematically, we make a number of historical and cultural ‘journeys’ through the course of the year — as Knights, as Colonial Americans on the eve of Revolution, as visitors to Ancient India and Classical Greece. Our Science focus is the study of water and watersheds as part of the 4-5 Watershed Academy. Integrating all of this is a series of exciting field trips and events that make learning memorable and alive. Welcome to the 5th Grade! 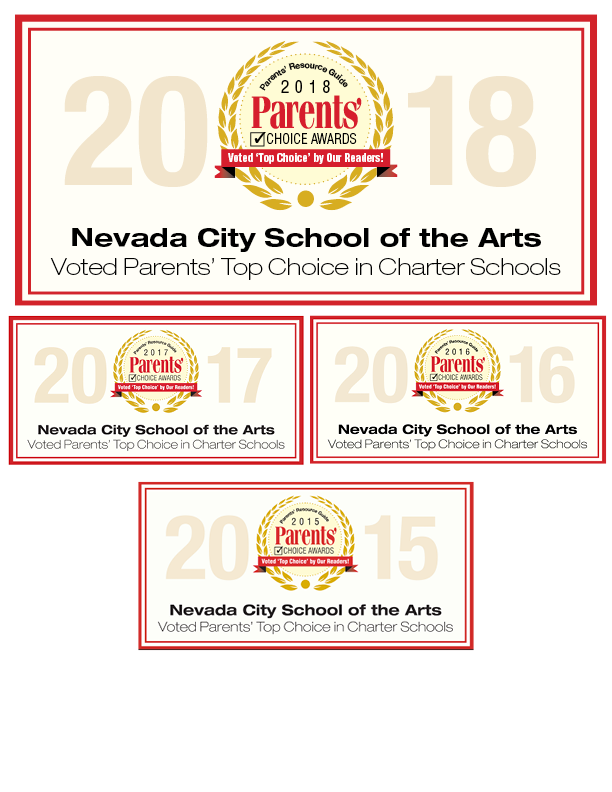 I am a new teacher here at Nevada City School of the Arts and I am elated to be part of this wonderful learning community. Before arriving here, I graduated from Sonoma State University, with a Bachelor of Fine Arts in Photography and I recently graduated from the CalStateTEACH teacher credential program through CSU Fresno. Before pursuing a teaching career, I was employed in various outdoor education, outdoor adventure, summer camp jobs. I find my solace in the outdoors and hope to imbue this passion into this year’s fifth-grad class. My name is Camille Hollingshead. This year I’ll be teaching 6th grade English Language Arts and Social Studies at NCSA. Sixth grade is full of excitement, transition, growth, and discovery. At NCSA, you are transitioning to the Upper Campus where you will find yourself growing into a well-rounded student that is ready. While our 7th graders become logophiles (lovers of words) through an abundance of engaging Language Arts activities, and our 8th graders reflect carefully upon the stories of the past to make the most of their futures, my highest priority in school is the well being of our social and emotional health. In my classes, we’ll gather in circle, spend time outdoors, and work together to find ways to create a safe and healthy environment for everyone. Hello and welcome! My name is Lisa Lane and I will be teaching 7 th /8 th grade mathematics. I am so excited to meet each of you!